Very flexible, wears long and stays in good shape. 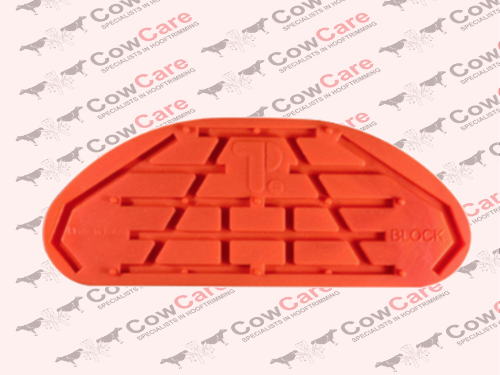 The Hoof-Tite Safe Block provides unbeatable traction on wet or slippery surfaces as well as high wearing comfort when blocking cows or cattle. 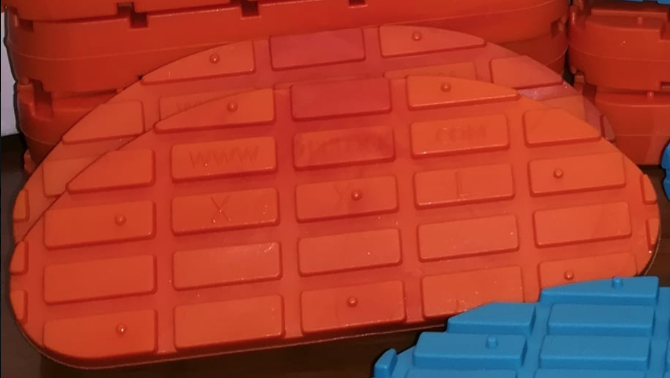 These blocks are slightly longer than the standard wooden blocks, to give extra support. Bond easily with hoof glue, like the one from Hoof-Tite. 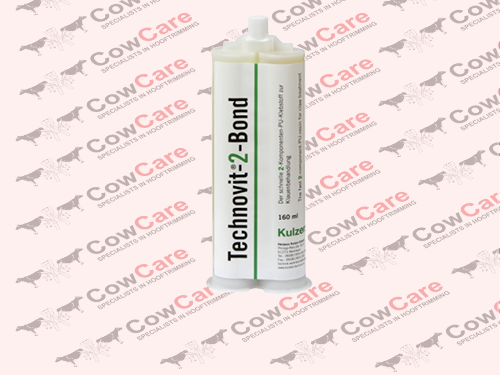 Technovit-2-Bond is a quick-drying, two-part adhesive for treating claws of cows or cattle. 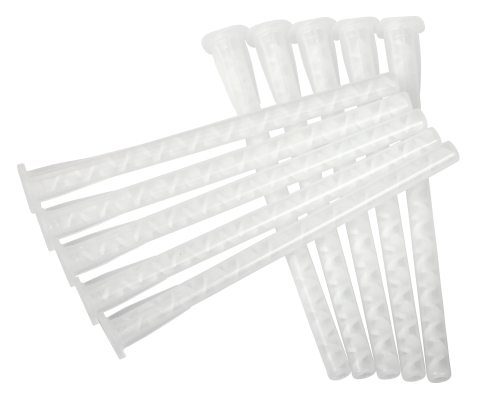 Just a small amount of this adhesive allows you to attach wood or rubber blocks onto the healthy claw in seconds in order to take the strain off the diseased or damaged claw and therefore accelerate healing. Mixing tips are required to adequately mix the 2-components of an adhesive cartridge through this it can perform and set at its optimum level. Apply bonding materials easily, effectively and waste free with the right adhesive dispensing equipment. 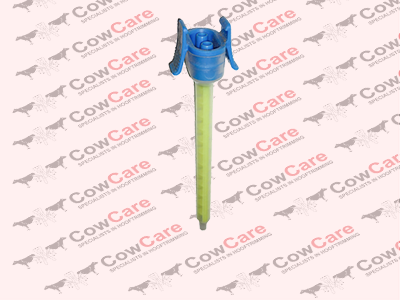 Accessories to provide protection and comfort to your cows for a professional claw treatment. This Wooden Block (11 cm) is used in combination with adhesive and are directly glued on the healthy claw to relieve pressure from the injured claw. 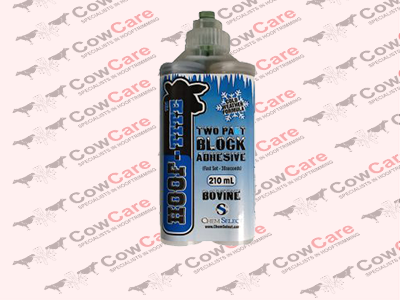 For the treatment of lameness or hoof problems in cattle. 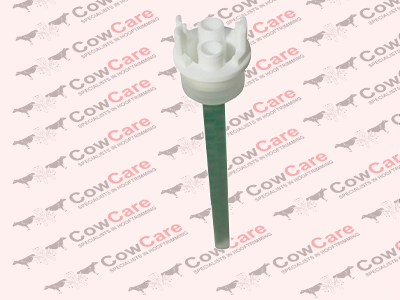 Accessories to provide protection and comfort to your cows for a professional claw treatment. These Wooden Blocks (13 cm) are used in combination with adhesive and are directly glued on the healthy claw to relieve pressure from the injured claw. 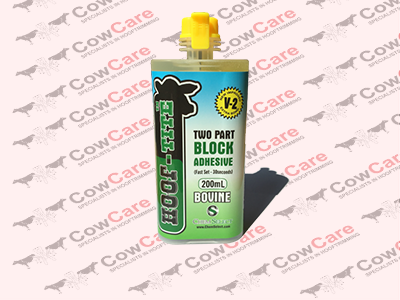 For the treatment of lameness or hoof problems in cattle. 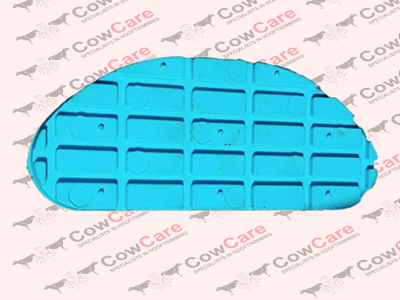 Accessories to provide protection and comfort to your cows for a professional claw treatment. 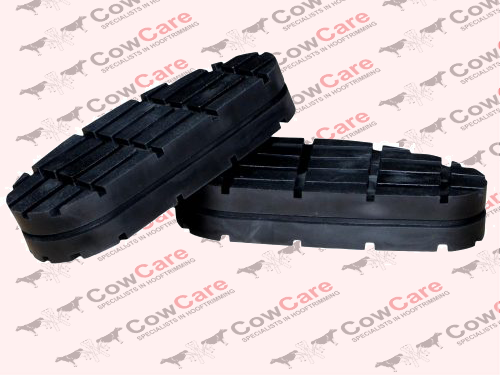 Hard black rubber hoof block for the treatment of lameness or hoof problems of cows or cattle. 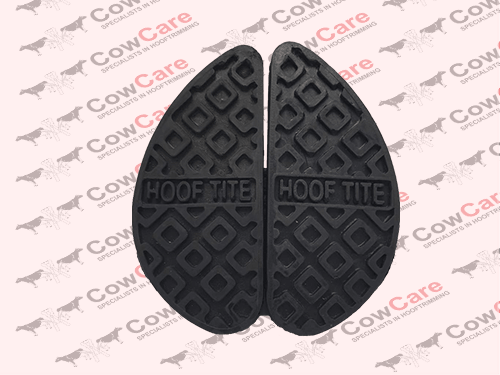 The long last without cracking or breaking makes the Hoof Block, rubber popular. An innovative new generation orthopaedic insole for a professional claw treatment. The TP BLOCK blue normal is entirely made of polyurethane, highly abrasion-resistant material. Available in orange (hard) and blue (soft) as well as normal and XXL. An innovative new generation orthopaedic insole for a professional claw treatment. The TP BLOCK orange normal is entirely made of polyurethane, highly abrasion-resistant material. Available in orange (hard) and blue (soft) as well as normal and XXL. An innovative new generation orthopaedic insole for a professional claw treatment. 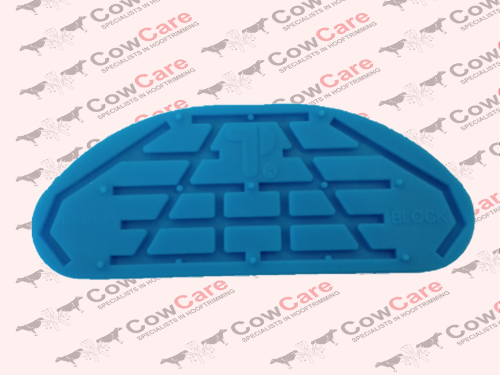 The TP BLOCK blue XXL is entirely made of polyurethane, highly abrasion-resistant material. Available in orange (hard) and blue (soft) as well as normal and XXL. An innovative new generation orthopaedic insole for a professional claw treatment. The TP BLOCK orange XXL is entirely made of polyurethane, highly abrasion-resistant material. Available in orange (hard) and blue (soft) as well as normal and XXL. The manual Dispenser LUX holds Technovit-2-Bond, Bovi-Bond and other 160 and 180 ml 2-component cartridges and forces the two components through a static mixing tip. Simply squeeze the handles of the Dispenser LUX and apply bonding materials easily and effectively with the right adhesive dispensing equipment. 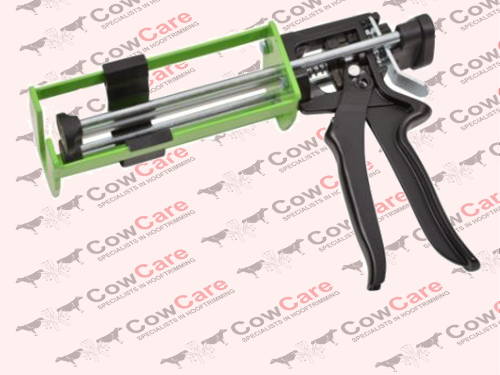 This manual dispensing gun holds Technovit-2-Bond, Bovi-Bond and other 160/180 ml 2-component cartridges and forces the two components through a static mixing tip. 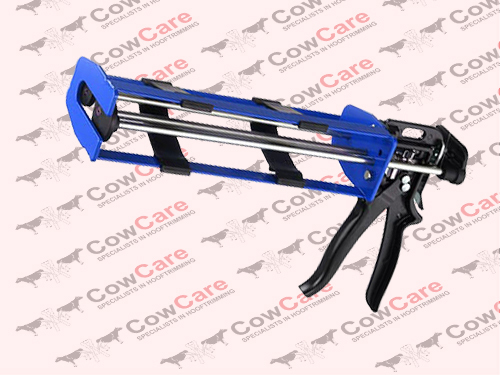 Simply, squeeze the handles of the Dispenser Gun Front Loader and apply bonding materials easily and effectively with the right adhesive dispensing equipment.